"Shiver me timbers!" 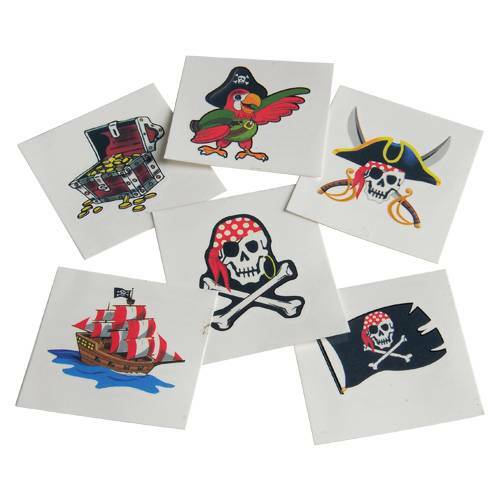 These temporary pirate tattoos stick on skin, then wash off. Fun for your party favor bags. U.S. Toy Exclusive! 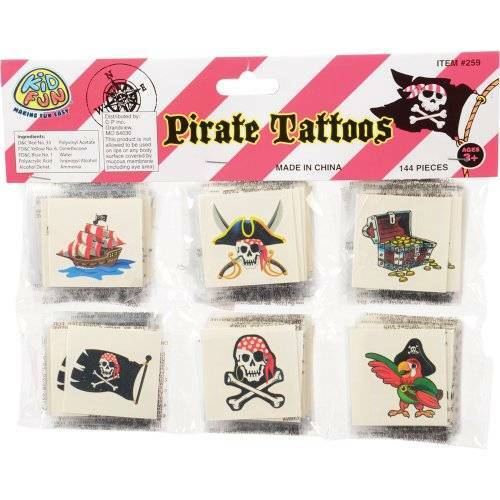 Stock up on all your Pirate party needs at US Toy. Swashbuckling buccaneers will be impressed with our selection of costumes, hats, party favors, and party supplies. Find everything you need to make your Pirate Party a hit and stay on budget.